TGIF @ 1 Utama - Super love this part of the interior! Maybe I just have a thing for bars? TGIF @ Paradigm Mall, more spacious and bright, I feel. 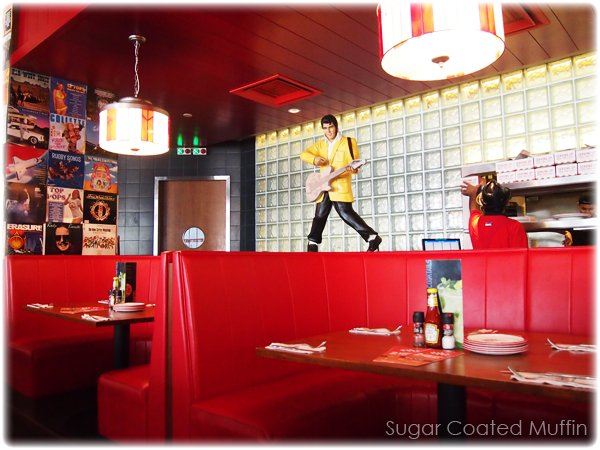 Booth seats and individual tables available, indoors & outdoors. Service at Paradigm was really quick but the one at 1 Utama can be annoying at times due to the crowd during meal times. 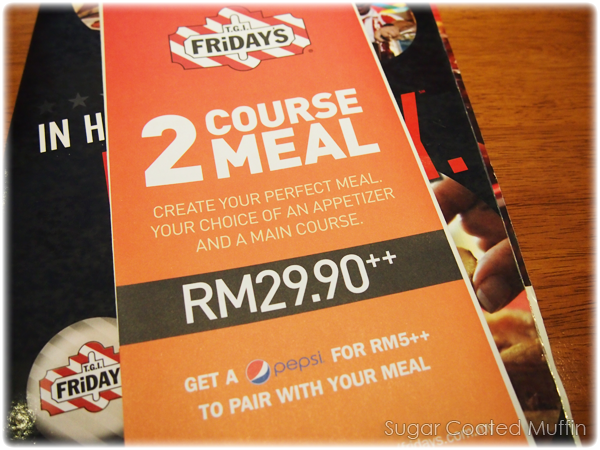 They have really affordable 2 course meals on Monday-Thursday! Calculated the value and some of these are worth RM 50 but you only pay RM 29.90! 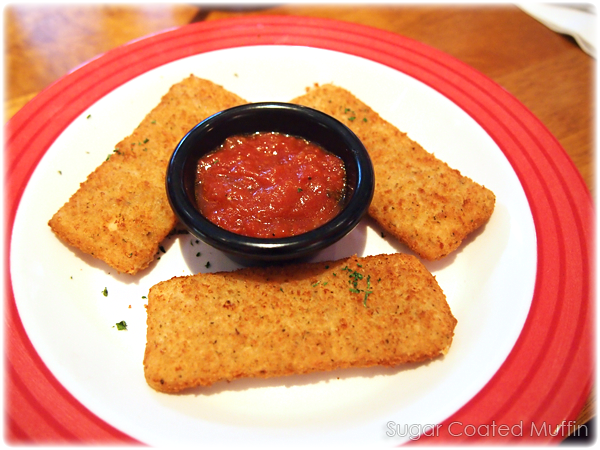 Such a steal..
Mozzarella cheese coated in special Italian-style breading, then deep-fried and served with a rich marinara sauce. 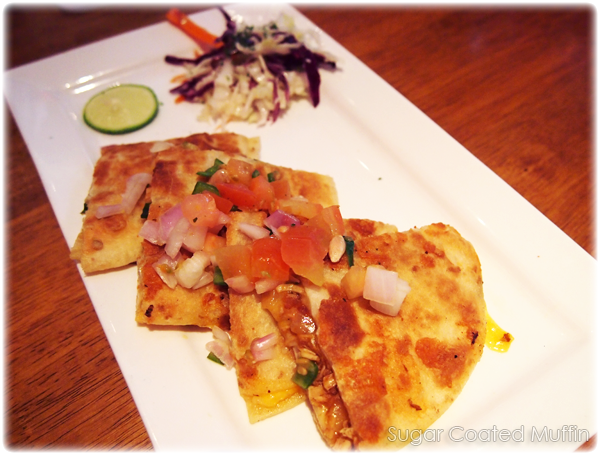 Slow cooked BBQ chicken layered with Cheddar and Monterey Jack cheeses with roasted red onions, tart apple and cilantro in crisp flour tortillas. Served with apple slaw. Absolutely tasty! Had us asking for more which is perfect since the main courses were served right after. 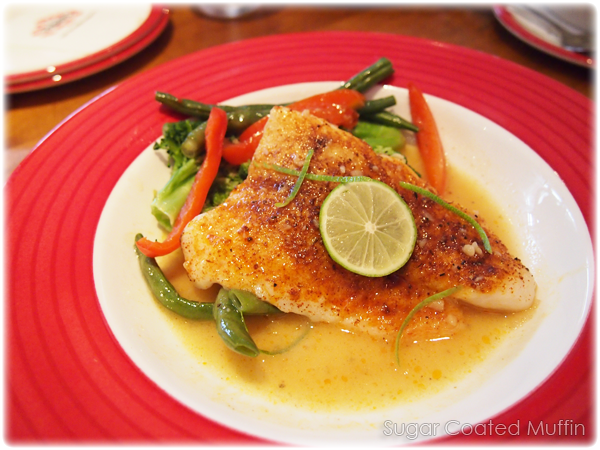 A roasted mild whitefish topped with a sparkling citrus splash, served with seasonal vegetables and herb rice. My favourite main course of the day! The flesh was so soft and smooth.. Vegetables perfectly cooked and the sour sauce went well with the dish. Portion is quite big with the herb rice considering we had appetizer as well. 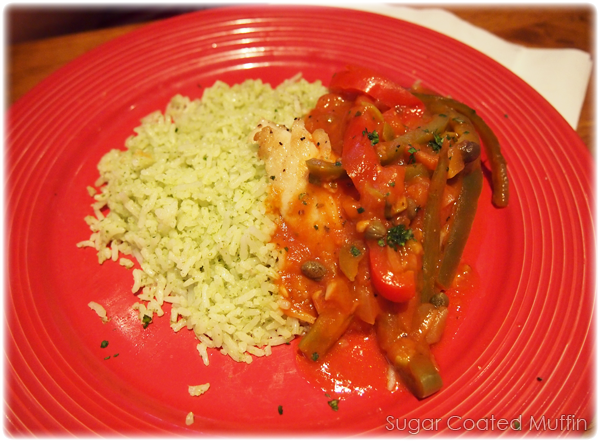 Sauteed snapper fish fillets simmered with tomatoes, sweet & spicy peppers, capers and olives. Served with herb rice. The flesh of the snapper was too tough for my liking but tasted alright.. The Whitefish above would be a much better choice. 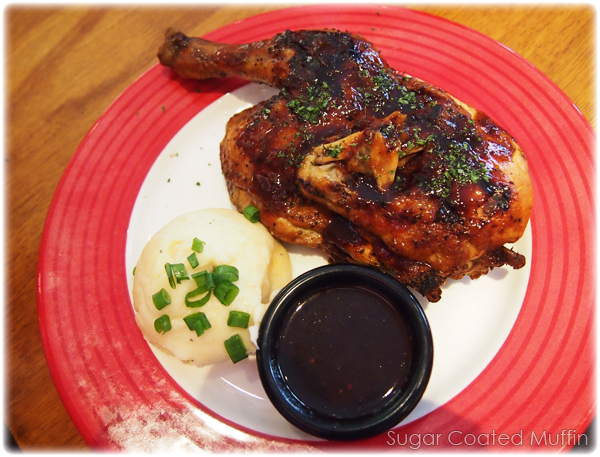 Roasted half chicken grilled to perfection and topped with their Championship BBQ sauce. 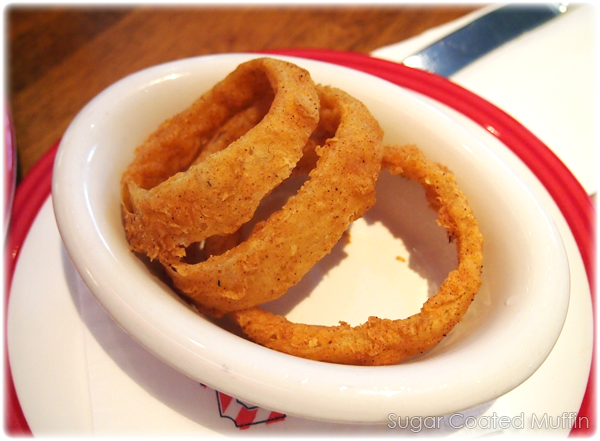 Served over crispy onion rings and Cheddar cheese mashed potatoes. Chicken was really juicy and sauce is great. Mum said it tasted like Teriyaki. Although vaguely similar, it's not the same though. Mashed potatoes are heavenly! 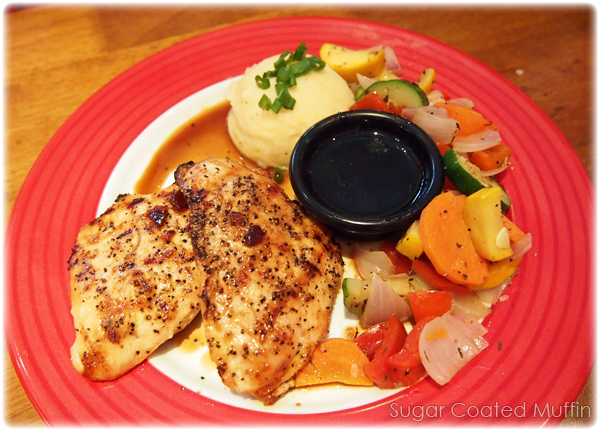 Two juicy chicken breasts basted in a sweet, savory glaze. 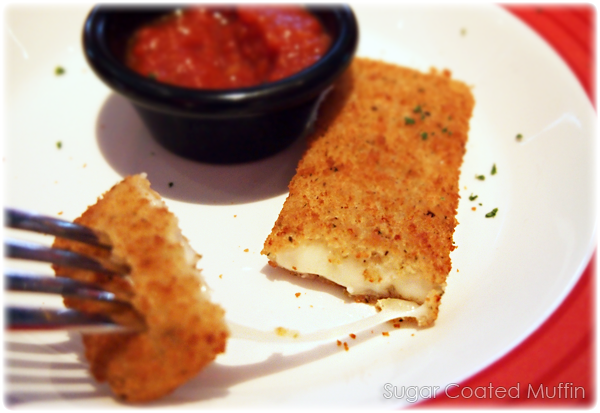 Served with seasonal vegetables, Cheddar cheese mashed potatoes and their Tennessee sauce. Equally as yummy as the Championship BBQ Chicken! Love how the flesh isn't too dry or tough. 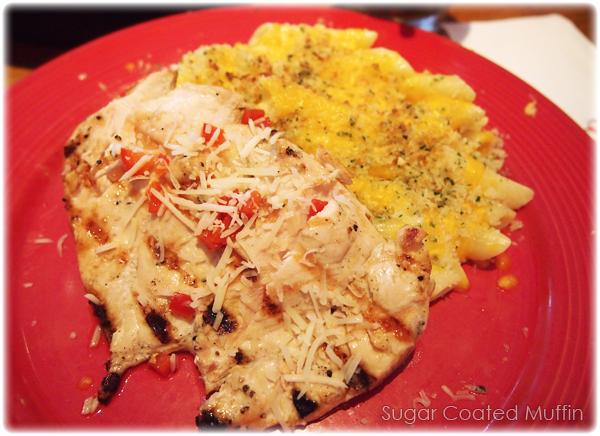 A juicy fire-grilled chicken breast served with creamy Monterey Jack, jalapenos, penne and cheese, then finished with shredded Parmesan cheese and diced red peppers. Honestly, this isn't the first time I've tasted this and I have no idea why I ordered this after my previous bad experience. The chicken is still a tad too dry for my liking and didn't have much taste. Mac & Cheese was just dull without that oomph. 'Borrowed' some of the sauce from the Whitefish and fixed the problem! 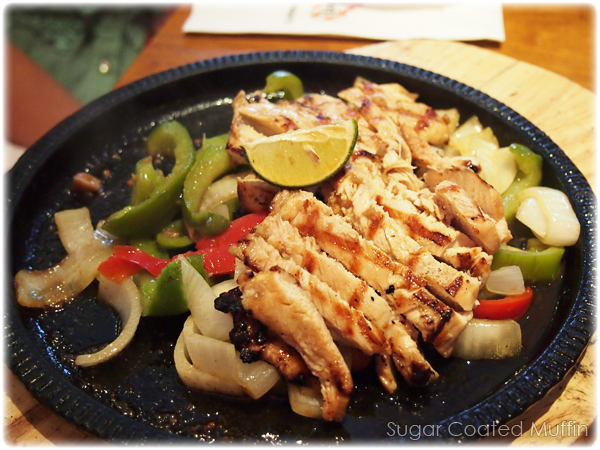 Served on a skillet of roasted onions, red and green peppers. 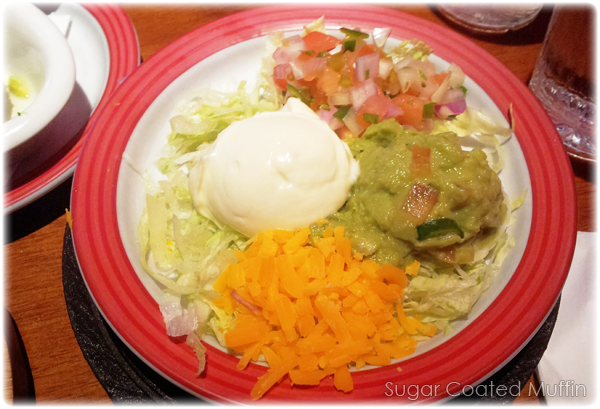 Served with hot flour tortillas, pica de gallo, guacamole, sour cream and Colby cheese. 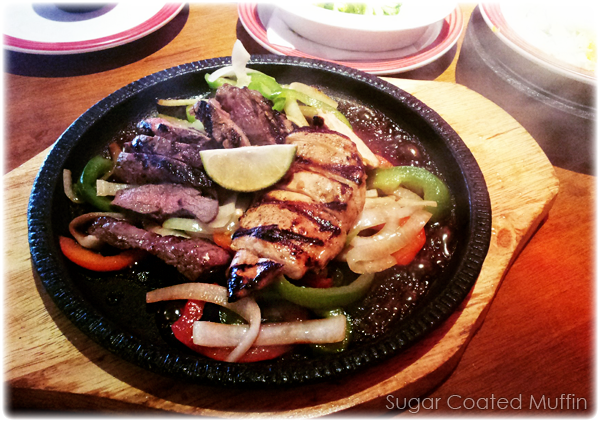 The part I love most about the fajitas are the capsicum and onions which taste excellent! Onions are cooked til they're sweet and the sauce on the pan is absolutely amazing. Spritz a bit of the lime on top to spice up the taste. Stuff everything into a fluffy tortilla and savour the mouthful of flavours. You may ask for your beef well cooked, rare etc. I had mine medium cooked since I can't stand the sight of bloody food. It was still slightly pinkish and juicy, just perfect for me. 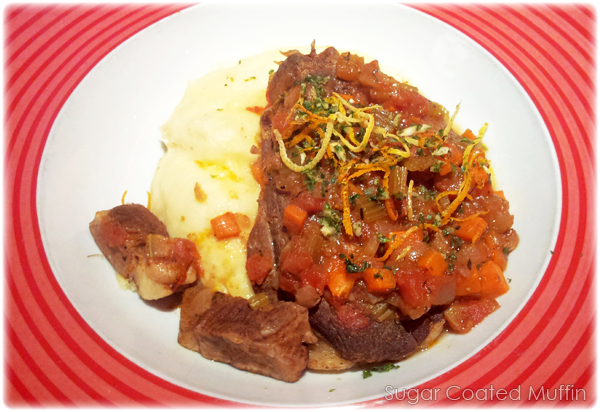 Fall-off-the-bone tender lamb slow roasted with vegetables and plum tomato sauce served over Cheddar cheese mashed potatoes. 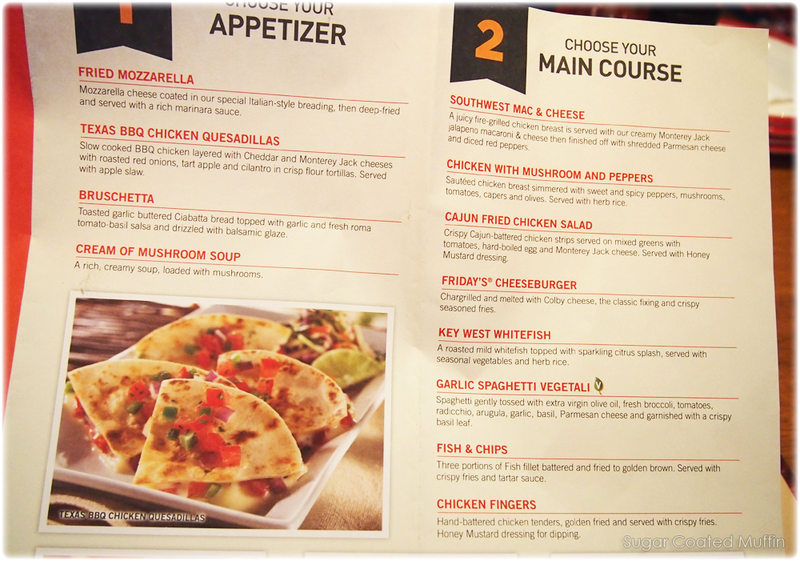 You can order the Cheddar Cheese Mashed Potatoes as a side for RM 5. Lamb was so so so soft and juicy! Very well done and tasted unique with the garnishing. Portion isn't really big though. Utter disappointment. No hint of garlic butter at all! 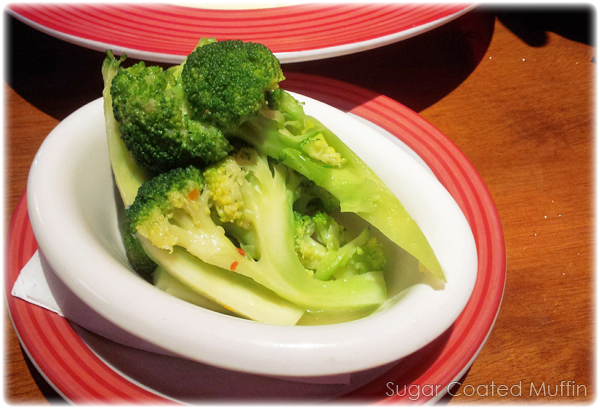 All I taste is broccoli. I would recommend you to try the Key West Whitefish and mashed potatoes at least! Yummmm! The food looks so good!! But i'm very educated on 'kampung' fishes like ikan kembung, ikan cencaru, ikan siakap, so on & so forth..haha.. The Tennesee chicken looks so yummyyyyyyy!! 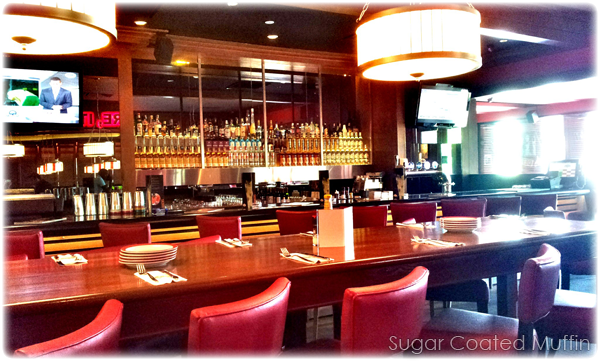 thanks for the pictures & reviews Isabel~! 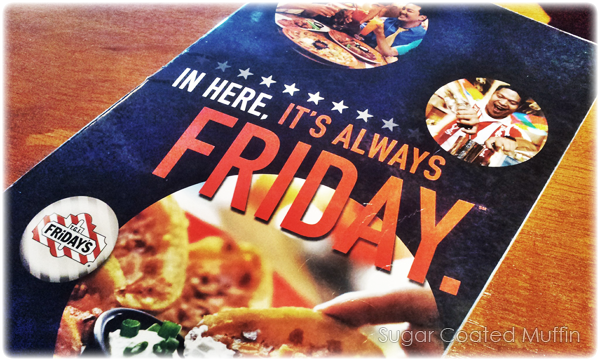 I always love TGI fridays! The snapper looks good :D Yummmmmmy!